Co-op Culture is a co-operative consortium of co-operative and community advisors, entrepreneurs and enterprises. 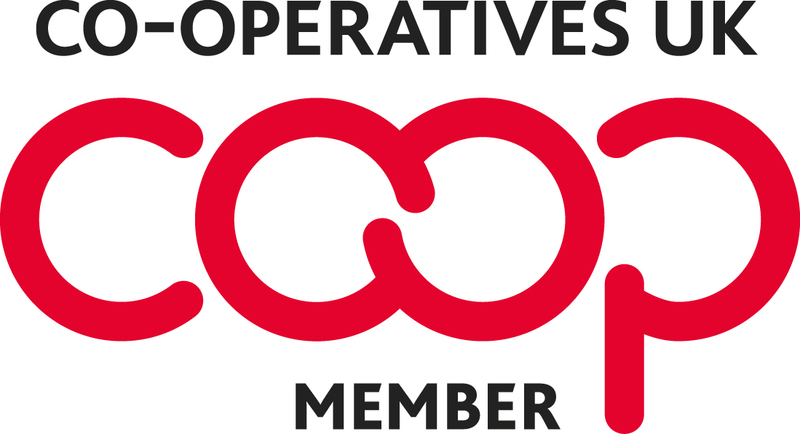 Our members and associates have a vast and varied experience of supporting co-operative, community and social enterprise to start and grow. Feasibility studies and market planning. Community finance support including drafting community share offers. Advice on grant and loan finance. Advice on legal and organisational structures. Governance audit and advice on governance “health”. Facilitated planning for start-up or organisational change. Advice on measuring and reporting social impact. Delivery of training on all of the above. Community Food Enterprise (food, co-ops, processing, retail and wholesale). Woodland Social Enterprise and Social Forestry. Co-operative shared workspaces and hackspaces. Are you a co-operative or community enterprise looking to start or grow? Get in touch to discuss how we can help. If we can’t, we’ll know someone who can. We will not work with organisations which exist primarily for the creation of private profit, consolidate the ownership of assets into private hands, adversely affect the natural environment, or exploit people and other animals. 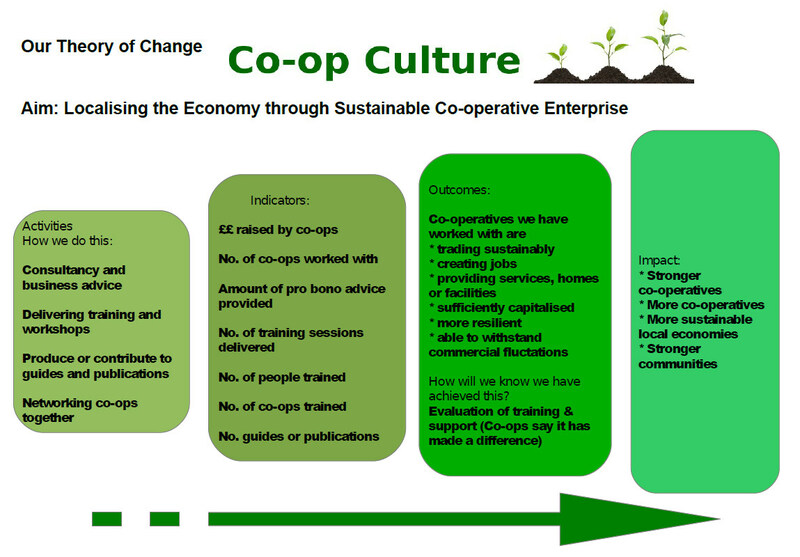 If you want to read about how we aim to make a difference you can read our Social Impact policy and download the Co-op Culture Theory of Change as a PDF or view it as an image here. You can also view our Environmental and Ethical Policy and our Equality and Diversity Policy. Complaints: If you want to make a complaint about our services please see our complaints procedure.